Category Archives for "HOW TO GROW"
Maybe you are a passionate gardener who loves nothing but the thrill of tending to your own backyard space for the next creative project. From growing flowers to plants to crops themselves, you love a good challenge when it comes to cultivating your area with a bright, vibrant, and colorful diversity of vegetation. Considering crops, you might have had your fair share of growing items like tomatoes, potatoes, pepper, even corn. However, you are interested in taking it a notch up and trying your hand at growing Portobello mushrooms. As it is a fungus and not actually a vegetable or fruit, these mushrooms are something that you have never grown before, so you know that it will be a good project to take all the way to the dinner table. That said, perhaps you are not sure just how to get started growing Portobello mushrooms. That is why we are here to help! 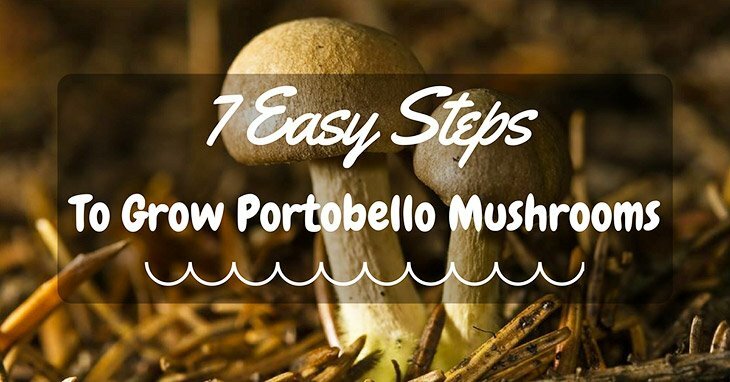 Read on to learn more in this article on how to grow Portobello mushrooms. We will give you the tips and tricks on how to get started. Soon enough, you will be harvesting some of the biggest, plumpest ones out there. Without further ado, let us get down to it! Maybe you are a huge fan of mangoes and enjoy eating them, biting into their soft, juicy skins and tasting nothing but sweet paradise. Especially if you do not live in a hot and humid place where mangoes are commonly grown (such as South American or Southeast Asia), then it can be a bit difficult to obtain mangoes often, for you will have to go to the supermarket to purchase them, and granted, they might cost quite a bit as an imported product. Perhaps you are tired of having to spend so money on these lovely, sunny fruits. Hence, you are interested in seeing whether you can grow them yourself, within the confines of your backyard garden. However, you do not know how to start, and you might find the process intimidating. Yet, there is no need to fear: we are here to help! Read on in this article to learn how to plant a mango seed in your garden, as well as how to cultivate and harvest them to ripe, pulpy perfection. Soon enough, you will have a garden teeming with mangoes and a never-ending supply of them to consume. Without any hesitation, let’s go! Sounds like an obvious, but in order to obtain seeds, you will need to get an actual mango itself. Granted, you can more so than likely purchase seeds from your local home and garden store, but having a mango on hand with its seed is a convenient option to take. There is also the option of getting its grafted sapling, so that the plant’s tissues can link up and cause growth in plants, which can end up saving time in the process. Either way, it is up to you! As previously mentioned, mangoes especially thrive in warm and subtropical environments, so that said, hot and humid conditions are the perfect ones to plant and cultivate this particular type of fruit. Even if you live in an otherwise cold, dry environment, it is still possible to ﻿﻿grow mangoes as long as you have a temperature-controlling growing site. Aspects such as grow tents and grow lights can be considered, and they can really make a difference on your mango-growing experience! Now, there are two options on how to plant your mangoes. You can do so by planting the seed or sapling in a container (e.g. pot) or in the soil in your backyard garden. 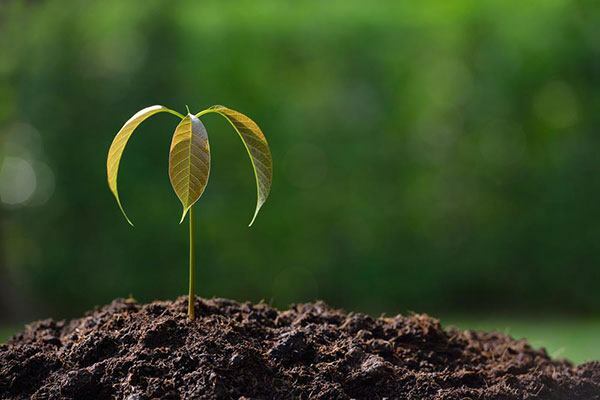 Either way, it should work out: as long as the seed or sapling has enough space to spread out and cultivate, along with lots of sunlight and nourishment, then it should not be a problem. Along with pots and backyard space, having good soil in which to plant your seeds or saplings will be beneficial for the smooth growth of the fruit itself. Ideally, it is best to have acidic soil, i.e. that of which the pH level is below 7.0. If you are having trouble getting the pH level down, then using materials like peat moss can help keep the soil acidic and consistent for the mangoes to grow in. Again, it sounds like an obvious, but just like with any other gardening project, you will need gardening tools in order to make the whole experience happen. From shovels to hoes, there is a variety of objects you will need as means of digging, planting, and otherwise harvesting your mangoes from start to finish. Considered the “essence of life,” water is much needed for tropical fruits like mangoes. Naturally, they live in not only warm, but also humid environments, which are commonly prone to rainstorms which cultivate the fruit. However, the trick is to not let it get too carried away, since too much of anything can do more harm than good. 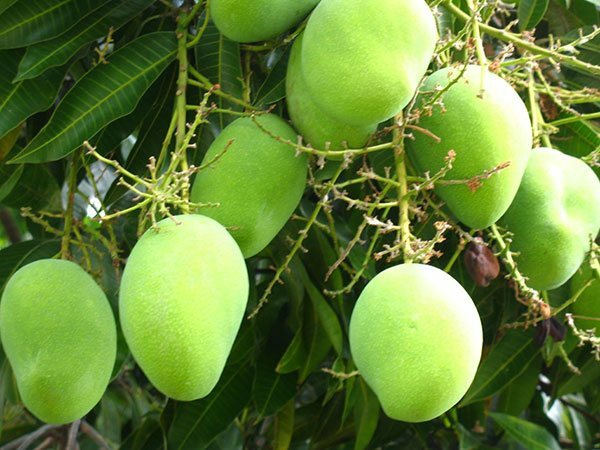 Again, just like with any plant out there, mango trees will be susceptible to overgrowth and weeds. This is where ﻿pruning comes in, as means of maintaining the tree to keep it from overgrowing and otherwise preventing the tree from growing. A snip here and there every so often can make all the difference in this case. 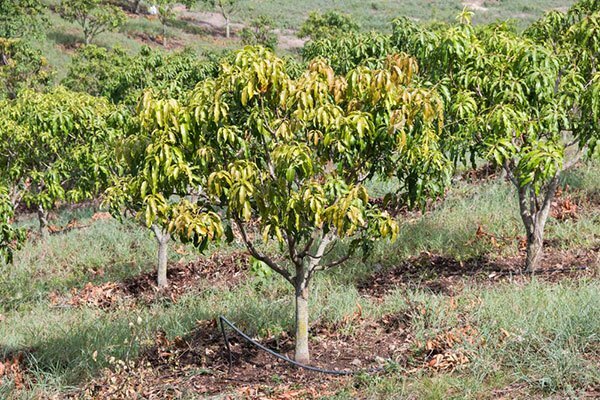 Before you get started planting your mango seed, you will need to prepare for it by taking into consideration factors such as the season, soil, and the environment. As mentioned already, your environment should ideally be hot and humid. Again, if you live in the opposite environment to which mangoes naturally grow in, then having a grow tent or a greenhouse to create an artificial environment is the way to go. In addition, your soil should be acidic, ranging somewhere between pH’s of 4 and 6.9. Once more, peat moss and other enhancers can be good for bringing the pH level down. Whether you choose to grow the mango seed in a container or in your garden, make sure that you have enough space for it to grow, since it can actually get quite big. If you container is too small for it, then you will need to transfer it to a bigger pot sometime down the line. The best seasons to plant your mango seeds occur between late spring and early summer. People choose to grow during this time, just because there is a pleasant medium of heat and moisture, so that the weather is warm and humid enough for them to get started. 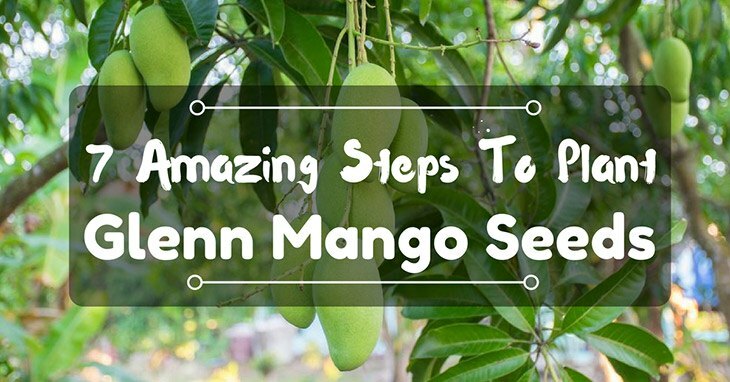 While it is possible to get mango seeds from your home and garden store, it can also be achieved organically by taking them out from the mango fruit. You can do so by peeling away the skin, take off the flesh, and get the pit. Clean the pit, dry it, and then remove the shell outside to get to the seed itself. Even when you get to the mango seeds themselves, it is still not quite time to plant them in the soil. Next, you will need to germinate it, i.e. activate it from its dormant state so that it can be ready to grow once actually planted. To germinate the seeds, plant them in the soil one to two inches deep. Cover them up and give them just enough water to make the soil damp. In about one to three weeks, you will start to see sprouts popping up, and by then it is time to actually plant them. As soon as the mango seed is germinated, you can then move it over to another site, whether in a container or in the backyard garden. 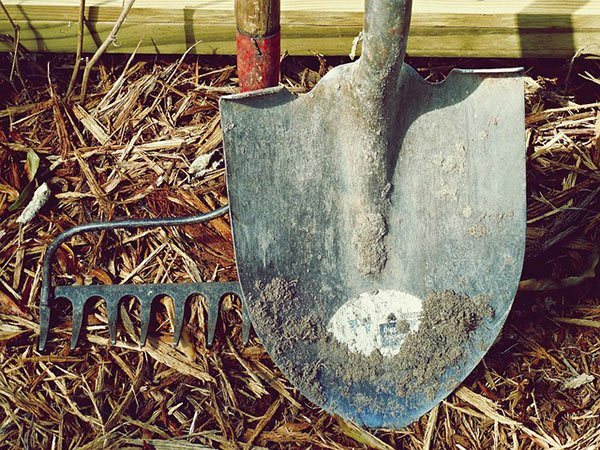 Using your gardening tools to dig a hole a few times larger than the actual seed itself, as means of giving it enough space and stability for it to grow and preventing it from losing balance in the process. 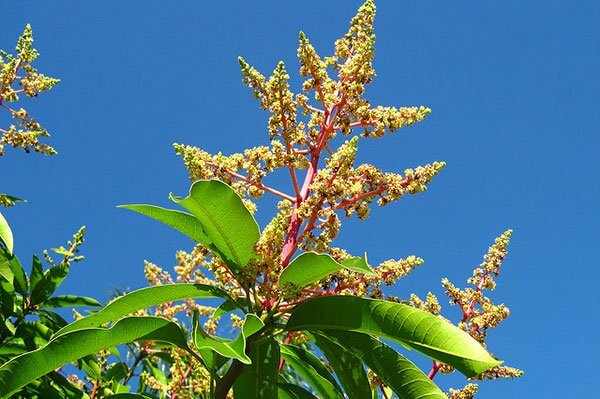 During the first year of growth, it is extremely beneficial to give your mango tree some fertilizer as a way to nourish it. Organic fertilizers are a good one to use, since they contain natural ingredients that otherwise will not create as much environmental pollution. Even with such a humid environment, watering your mangoes regularly can help them grow to full and ripe sizes sooner than later. Again, you do not need to water heavily, since the humidity of the environment can substitute for that water supply. A bit of modesty goes a long way! 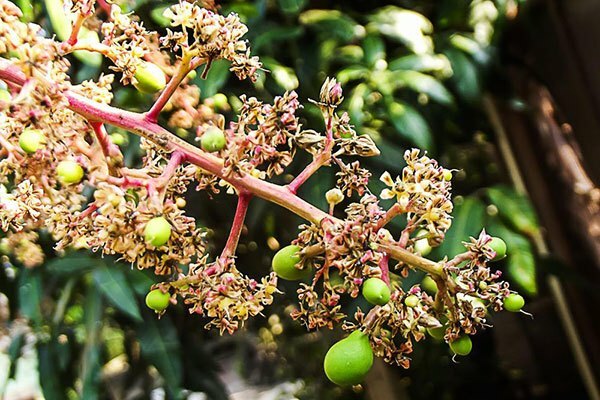 Mango trees are also likely to have weeds sprout up, as well as plenty of overgrown leaves and branches that otherwise can hinder more than help with the growing process. That said, using ﻿pruning materia﻿ls like the ﻿﻿﻿saws can be great to do from time to time when necessary. Overall, planting mango seeds takes time and patience, but is really not difficult to do. In the end, your work will pay off and soon, you can be proud to say that you have ripe, delicious mangoes to feast on! Let’s get to work! When it comes to gardening, perhaps you are nothing but a hard-core, dedicated enthusiast who wants anything but the pleasure of being outdoors tending to the lawn, or otherwise growing some excellent crops and flowers. Perhaps you have just gotten into this hobby, or maybe you have been doing this for years. All the same, you are passionate about gardening. Besides growing crops such as corn or fruits such as tomatoes and mangoes, you might be thinking about cultivating something new in your garden. Recently, you have been interested in lychee trees, an attractive, ornamental tree which when in bloom yields some bright, juicy lychee fruit. You are interested in growing this particular plant, and would like to know how to get started. Well, we are here to help! 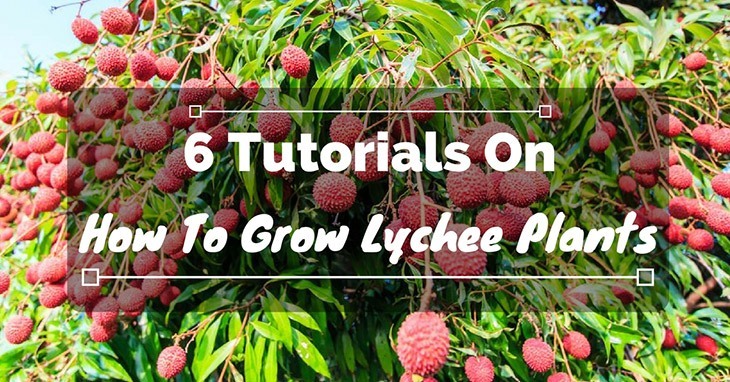 Read on to learn more about how to grow lychee plant. We will give you a detailed list of all the tools and ingredients you will need, as well as an in-depth step-by-step procedure in order to yield some of the best, juiciest fruit out there. Soon enough, you will have a flourishing tree bearing excellent fruit, of which you would be proud to call your own. Are you an adventurous gardener who loves experimenting with different types of plants out there? Or perhaps you have a fascination for anemones? If you answered “yes” to either or both of these questions, then this article is for you! In essence, anemones are a type of plant which belongs to the buttercup family, consisting of an array of colorful leaves and petals that can brighten up just about any garden out there. This is not to be confused with sea anemones, which are predatory animals that live under the sea. That said, perhaps you are interested in planting and growing anemones at home. 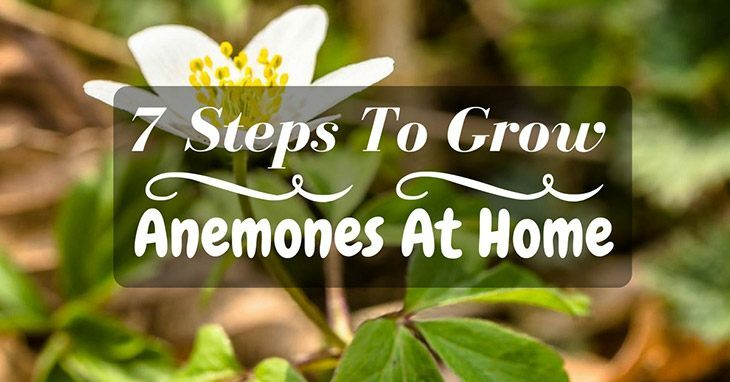 The question is, how do you grow anemones? We are here to help you out! Read on to learn more in this article on how you can get started growing them well in your garden. We will provide you all that you need to know in order to make it a smooth, easy experience, from knowing which tools to get and the steps to get started. Soon enough, you will have a great, beautiful bunch of anemones to call your own. Hot, spicy, and flavorful, jalapeno peppers are not only delicious, but they also pack a powerful punch to just about any dish you prepare using that special ingredient. Not only that, but as an avid gardener, you have the opportunity to grow your own jalapeno peppers within the comforts of your own backyard! That said, how can you get started? Even though you have grown tons of crops in your garden so far, you might feel that the process of growing jalapeno peppers can be somewhat daunting, even intimidating, so that you might possibly feel discouraged from doing so. There is no need to fear, though: with a little bit of help from us, you will soon be on your way to a wonderful jalapeno harvest! 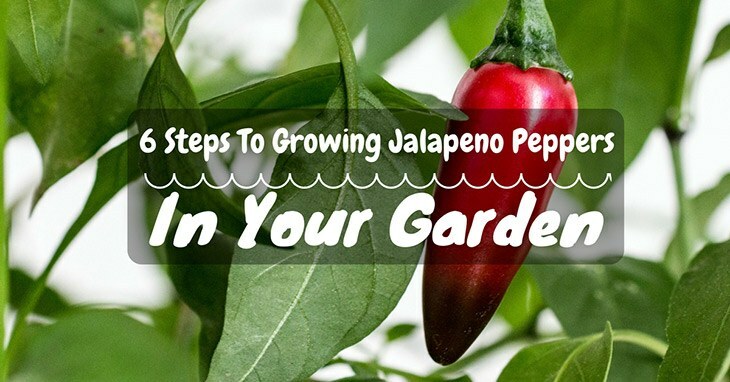 Learn more in this article on how to grow jalapeno peppers in your garden with our step-by-step tutorial. With that said, let’s get going!